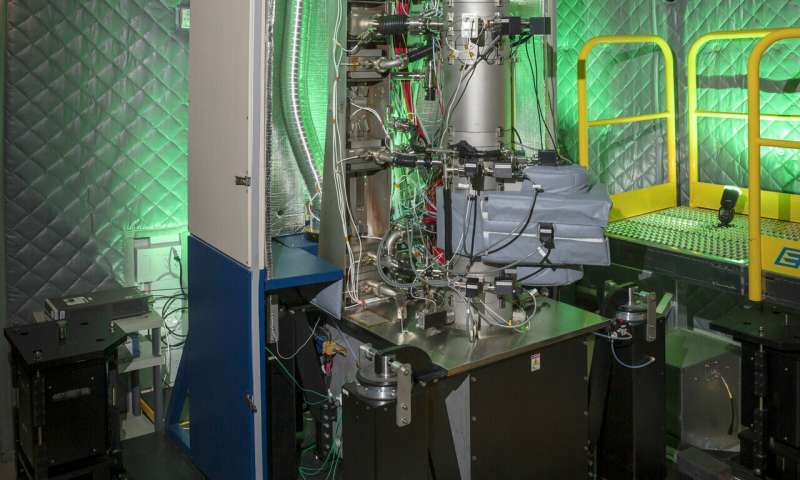 Scientists at the Department of Energy's Oak Ridge National Laboratory described in the journal Science the first use of an electron microscope to directly identify isotopes in amino acids at the nanoscale without damaging the samples. "The way we understand the progression of diseases, human metabolism and other complicated biological phenomena is based on interactions between proteins," said Jordan Hachtel, ORNL postdoctoral fellow and lead author. "We study these interactions by labeling specific proteins with an isotope and then tracking it through a chemical reaction to see where it went and what it did." "Now, we can track isotopic labels directly with the electron microscope, meaning we can do it with a spatial resolution comparable to the actual size of the proteins," Hachtel added. 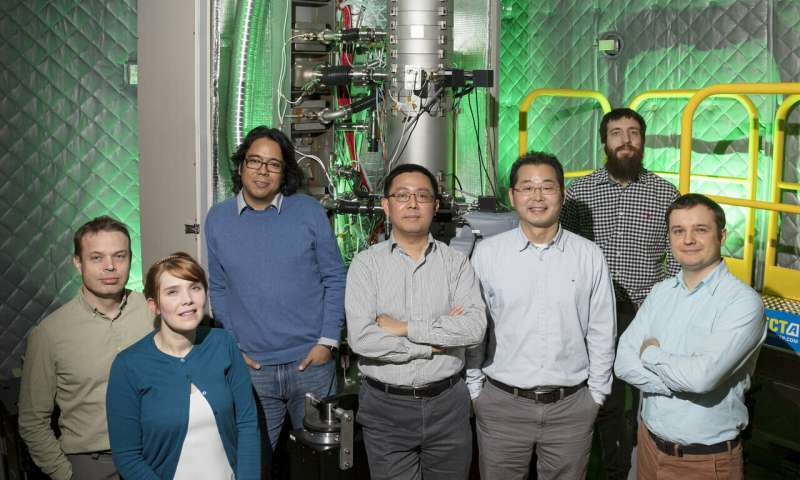 Their novel experiment, which took place at ORNL's Center for Nanophase Materials Sciences, used monochromated electron energy-loss spectroscopy, or EELS, in a scanning transmission electron microscope, or STEM. The technique the scientists used is sensitive enough to distinguish between molecules that differ by a single neutron on a single atom. 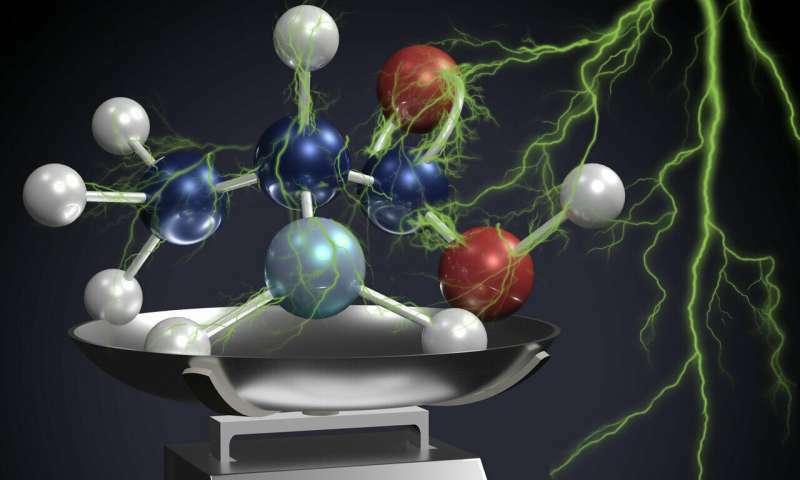 EELS was used to capture the minute vibrations in the molecular structure of an amino acid. "Isotopic labels are typically seen on the macroscopic level using mass spectrometry, a scientific tool that reveals a sample's atomic weight and isotopic composition," said Juan Carlos Idrobo, ORNL staff scientist and corresponding author. "Mass spectrometry has incredible mass resolution, but it typically doesn't have nanometer spatial resolution. It's a destructive technique." Their result constitutes a breakthrough for electron microscopy, since the negatively charged electron beam is typically sensitive only to the protons, and not the neutrons. "However, the frequency of the molecular vibrations is dependent on the atomic weight, and the accurate measurement of these vibrational frequencies opens the first direct channel to measure isotopes in the electron microscope," said Idrobo. "Our technique is the perfect complement to a macroscale mass spectrometry experiment," Hachtel said. "With the pre-knowledge of the mass spectrometry, we can go in and spatially resolve where the isotopic labels are ending up in a real-space sample."